Alloys 319.0 and A319.0 exhibit very good castability, weldability, pressure tightness and moderate strength. They are very stable alloys (i.e., their good casting and mechanical properties are not affected seriously by fluctuations in the impurity content). Alloys B319.0 and 320.0 show higher strength and hardness than 319.0 and A319.0 and are generally used with the permanent mold casting process. Characteristics other than strength and hardness are similar to those of 319.0 and A319.0. Typical applications for sand castings of these alloys are internal combustion and diesel engine crankcases, gasoline and oil tanks, and oil pans. Permanent mold cast parts include water-cooled cylinder heads, typewriter frames, rear axle housings and engine parts. Castability-Pressure tightness, fluidity, resistance to hot cracking and solidification shrinkage tendencies are all classified as very good for these alloys. Machinability-Machining characteristics are good. To preclude possible adverse effects of abrasiveness and inclusions, carbide-tipped tools are recommended. Finishing-Electroplated finishes are very good on these alloys. Mechanical and anodized finishes are fair. Weldability-Arc welding results in the most satisfactory welds. Resistance and gas methods are both good. Brazing is not recommended. Corrosion Resistance-These alloys exhibit good resistance to most common forms of corrosion and react well to chemical conversion coatings for additional protection. Applications for 356.0 are similar to those for 355.0. 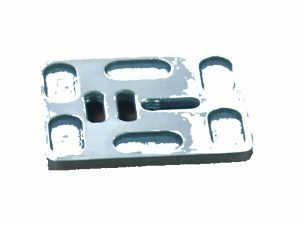 Alloy 356.0 has excellent aluminum die casting characteristics and has largely replaced Alloy 295.0. Permanent mold castings of this alloy are used for machine tool parts, aircraft wheels and handwheels, pump parts, tank car fittings, marine hardware, valve bodies, bridge railing parts, and for such parts as aileron control sectors, rudder control supports, fuselage fittings, and fuel tank elbows for airplanes and missiles. Automotive applications include miscellaneous castings for trucks and trailers, spring brackets, cylinder heads, engine blocks, passenger car wheels, and transmission cases. 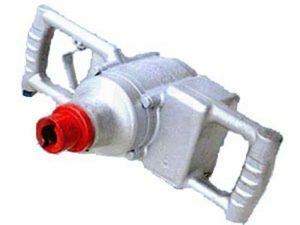 Uses for sand castings of Alloy 356.0 include flywheel housings, automotive transmission cases, oil pans, rear axle housings, brackets, water-cooled cylinder blocks, various fittings and pump bodies. This alloy is used in various marine applications in the T6 condition where pressure tightness and/or corrosion resistance are major requirements. Castability-Fluidity, resistance to hot cracking and resistance to solidification shrinkage are all excellent for Alloy 356.0. Machinability-After heat treatment (notably in the T6 condition), Alloy 356.0 has good machinability. Because of the high silicon content, savings can be realized by using carbide-tipped cutting tools (or better). Rakes should be positive and high. Speeds should approach the maximum, and light cuts should be taken. Weldability-Very good welding characteristics are shown by Alloy 356.0 for all standard welding methods. The alloy is not brazed. Finishing-Alloy 356.0 has good polishing characteristics. It is excellent for electroplating and very good for chemical conversion coatings. Anodizing appearance is very good; the color is gray. Corrosion Resistance-Excellent resistance to corrosion is shown by Alloy 356.0. Chemical conversion coatings give further protection.